Your smart look in a comfy garment! 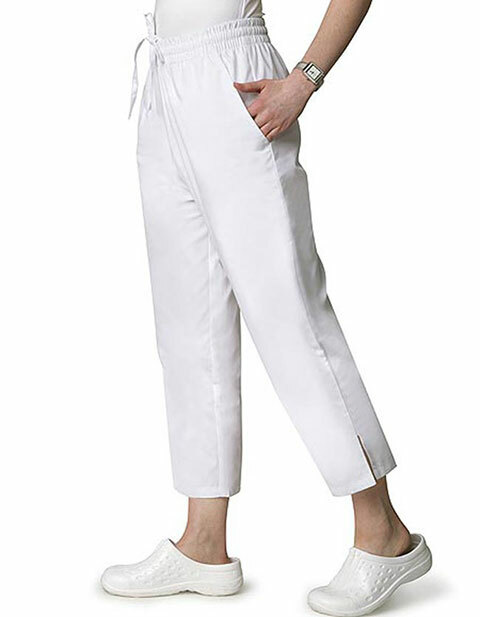 The Universal Basics by Adar brings women's side pocket Capri style scrub pants that are beautifully fashioned to provide you a professional yet fancy look. The full elastic waistband with inner drawstring enables you to fasten the apparel at your perfect fit. Moreover, the side slits at hem for a great finishing while the two spacious side pockets deliver ample secure storage for your nursing supplies and other essentials. I purchased these Adar scrub pants about a week ago and had my package earlier than the expected date.